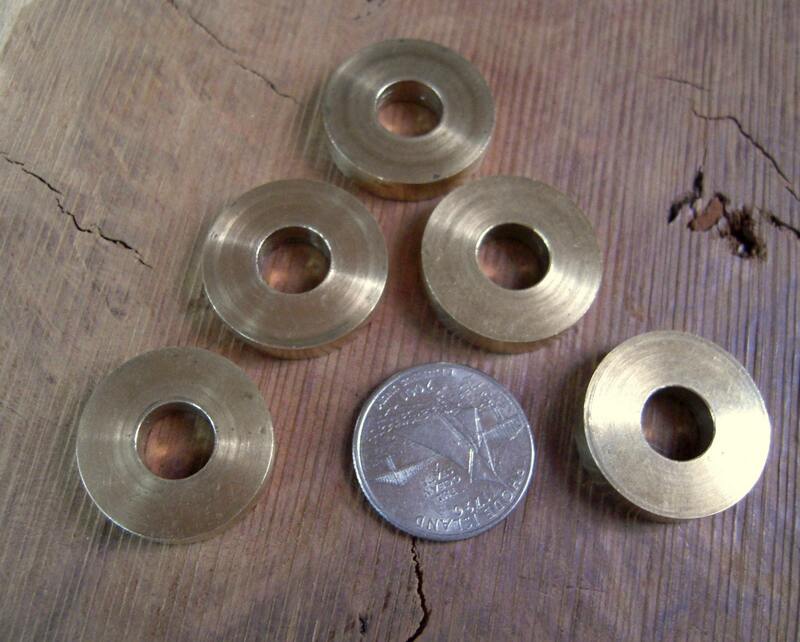 I have these Solid Brass Washers made for my Cane Making business and I use them to accentuate the joint between the Wooden Cane handle and the Wooden shaft of all of the Canes that I make. I refer to them as a "Grain Directional Break" as the break the continuity on the grain direction of the shaft with the grain direction of the Cane Handle. At the same time I feel that this solid brass "washer" draws your attention to the joint and I feel it adds a nice touch to the cane aesthetically. 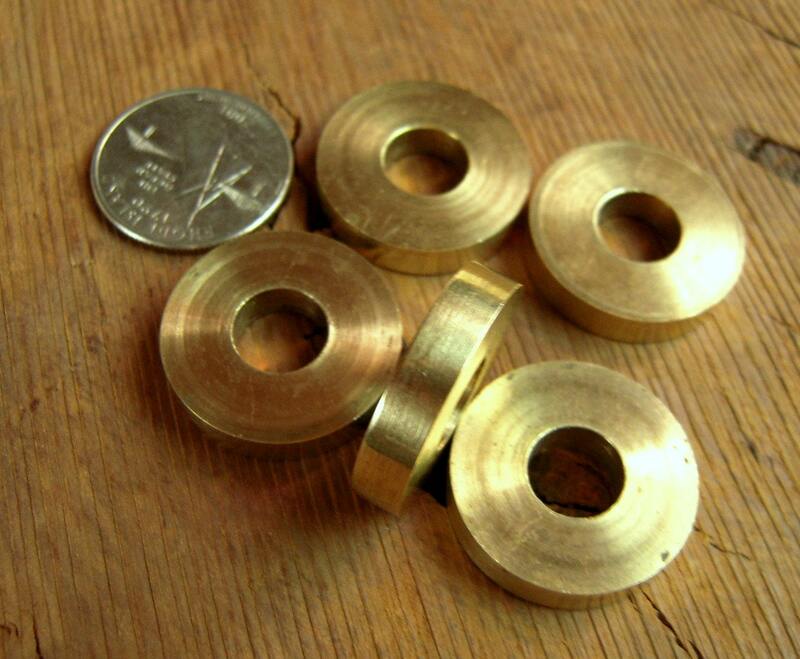 The last picture shows one of my canes with the brass washer (Cane Break) attached. Please Note that the Cane in the picture is not included in the sale. 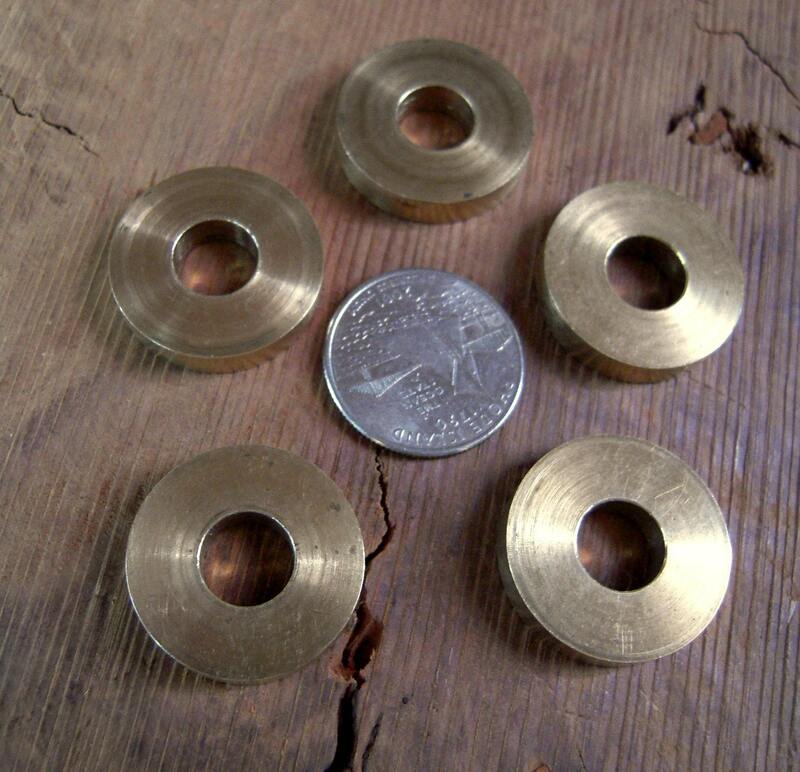 The "Washer" is one inch in Diameter and 3/16" thick. 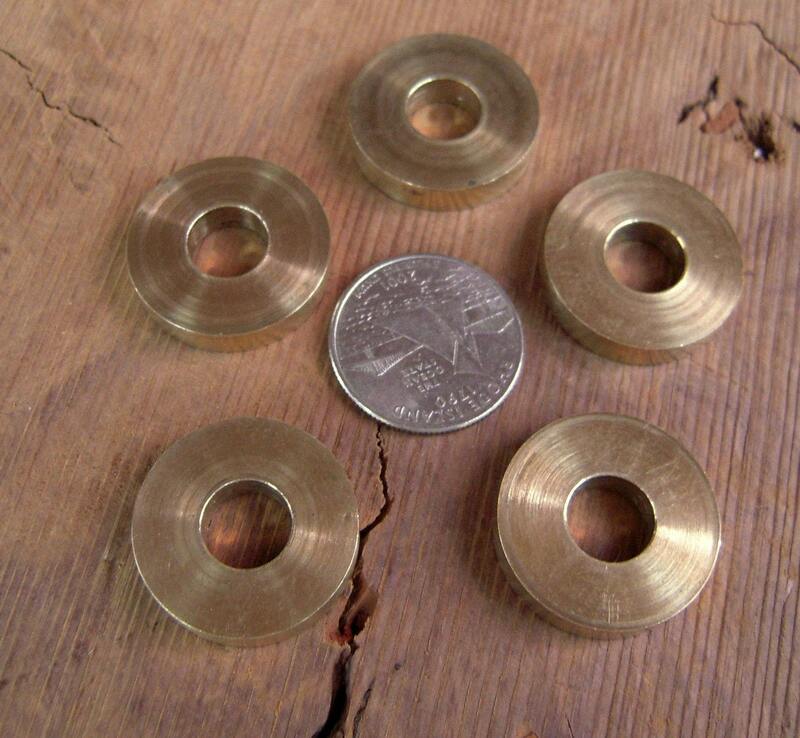 It has a 3/8" hole in the center of the washer all the way through so a 3/8" x 16 piece of threaded rod or a 3/8" Dowel can fit through the hole and be used to anchor the cane handle to the cane shaft. This makes as strong a connection as you can have when you epoxy the pieces together . To this day I have never had this joint on one of my finished canes "fail" at the joint itself. As my cane making days will be coming to an end within the next few years I am letting go with what I have learned over many years, and this is one little item you will not find any place else right now as most cane makers as well as knife makers today make their own pieces from scratch to separate joined wood pieces. 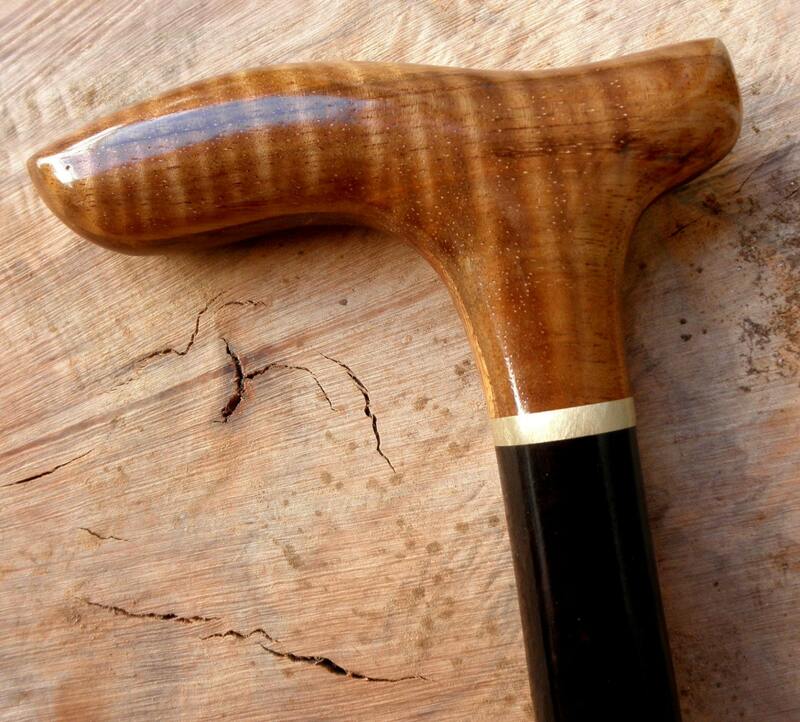 This adds the perfect touch to make your cane look finished. Took no time at all to receive these.